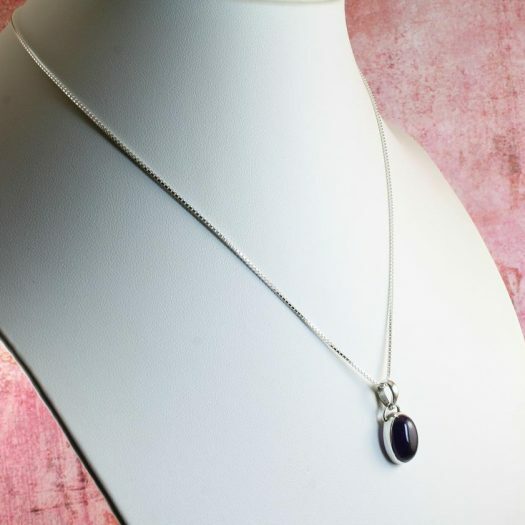 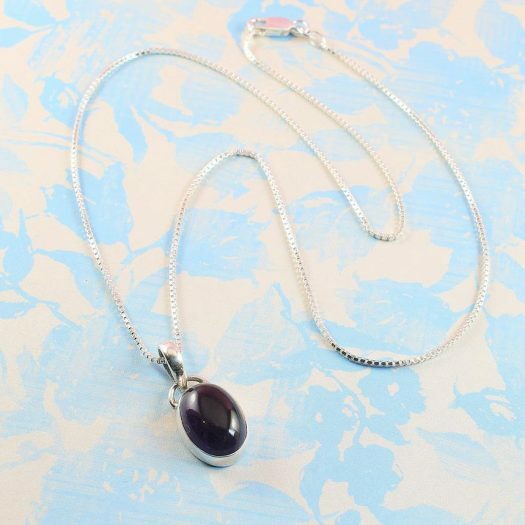 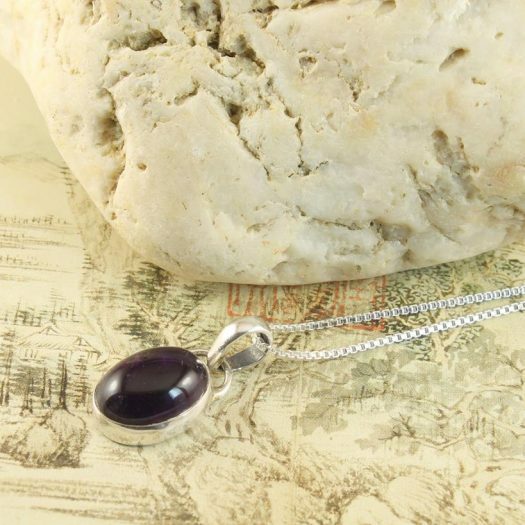 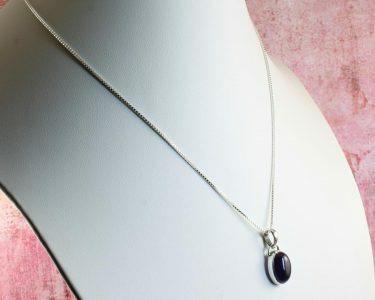 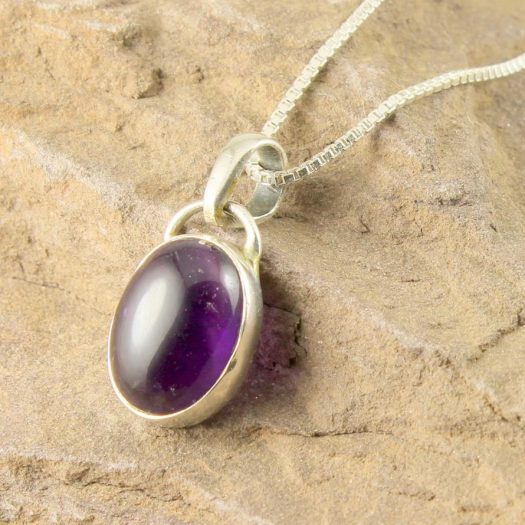 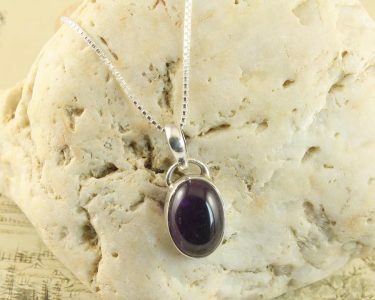 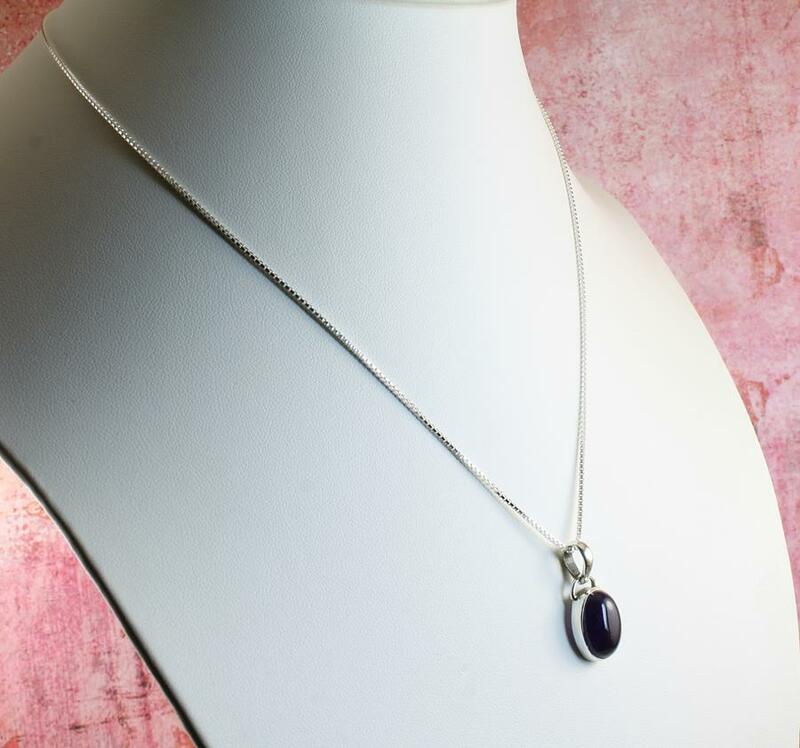 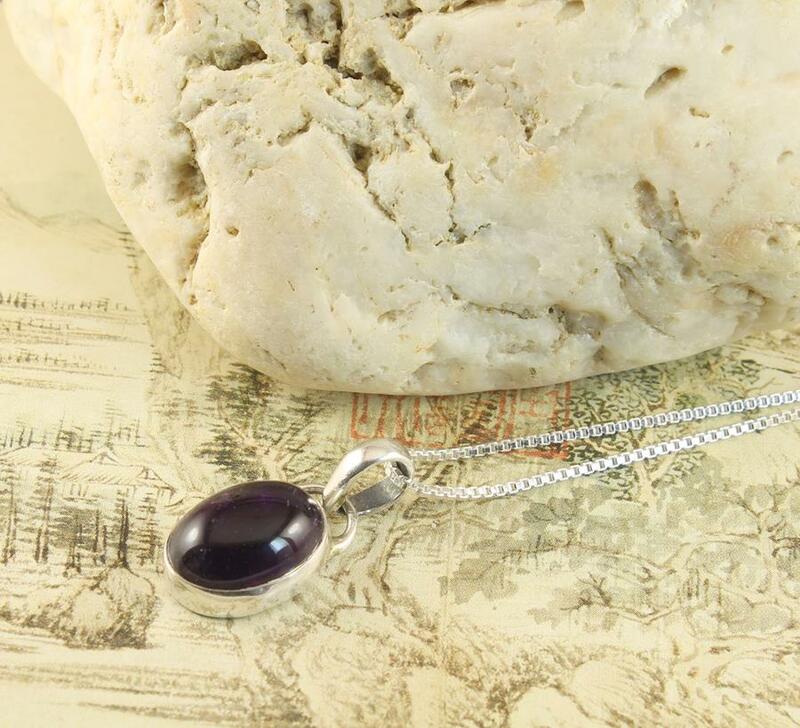 This shapely and alluring, classically styled, oval Amethyst gemstone in polished cabochon style, is set in a Sterling Silver 925 bezel tray with a small fixed bail and larger loose teardrop bail. 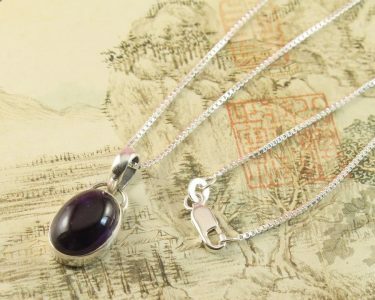 The pendant is strung on a fine 45cm Sterling Silver 925 mirror box chain, fastened with a traditional lobster claw clasp. 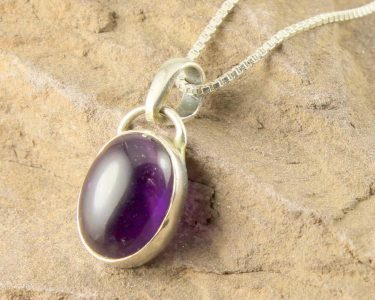 Wear It With : This Amethyst gemstone comes in an unusual deep purple shade that makes a strong statement of refinement and elegance. 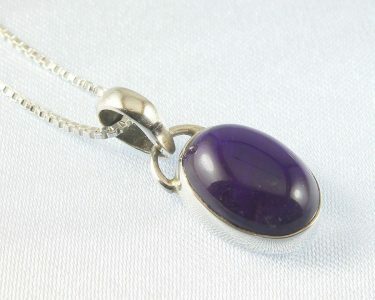 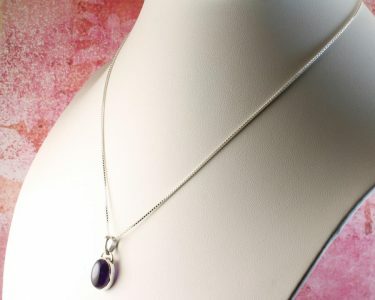 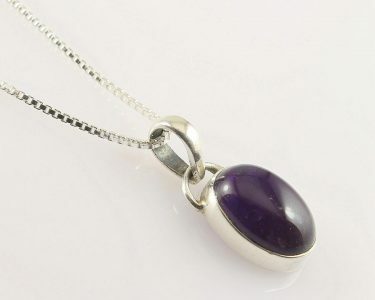 Amethyst is the birthstone for February, so it will be a great present for someone with a birthday then. 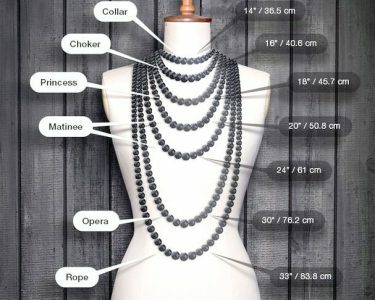 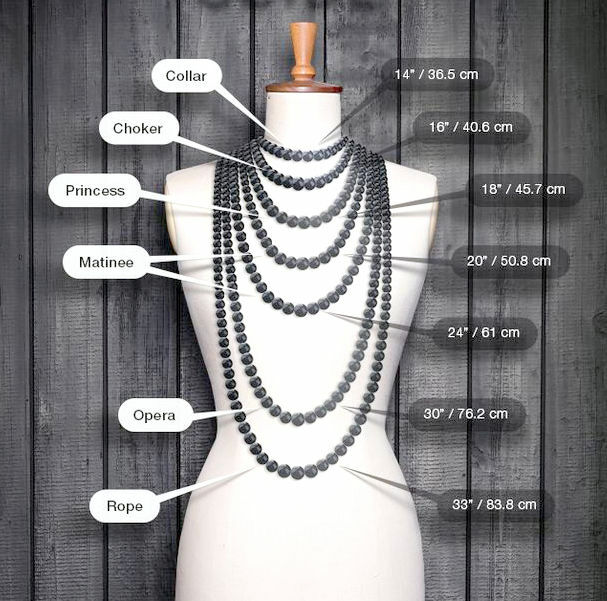 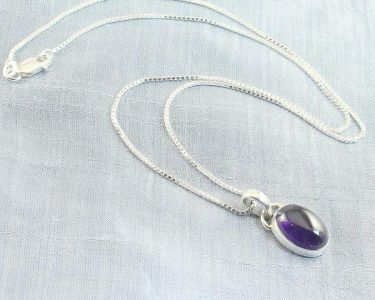 The necklace is subtle enough to be worn with most outfits, both casual and more formal. 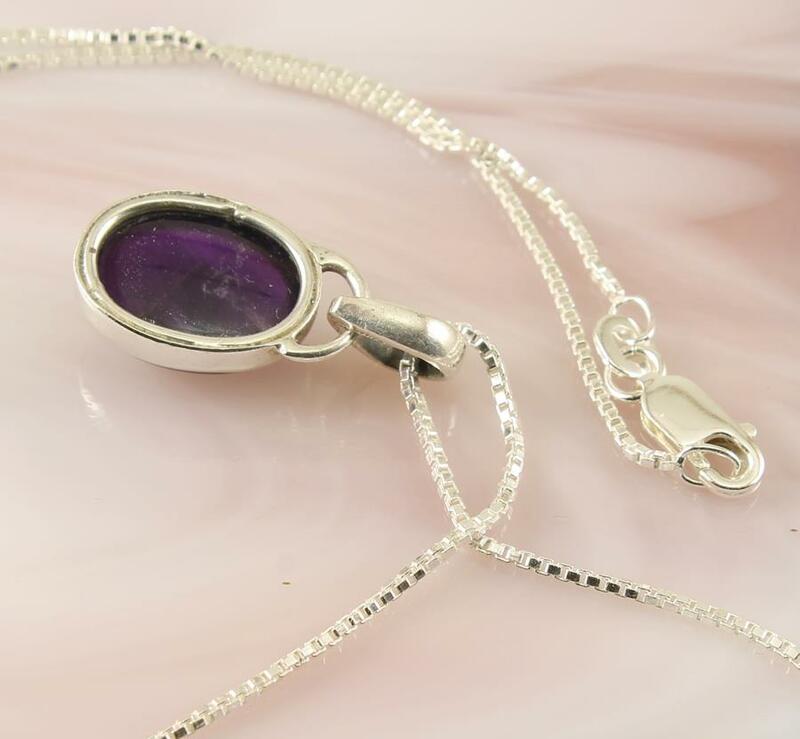 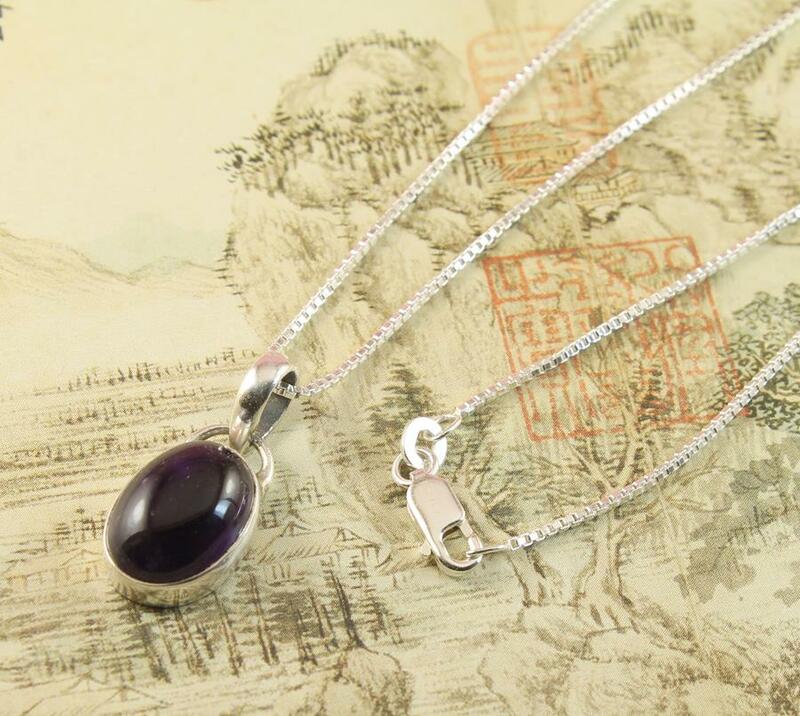 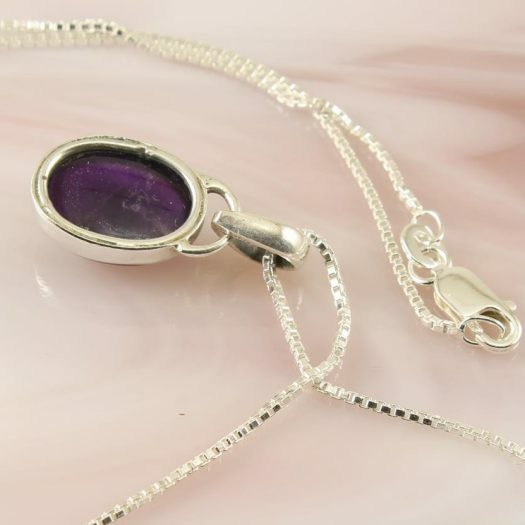 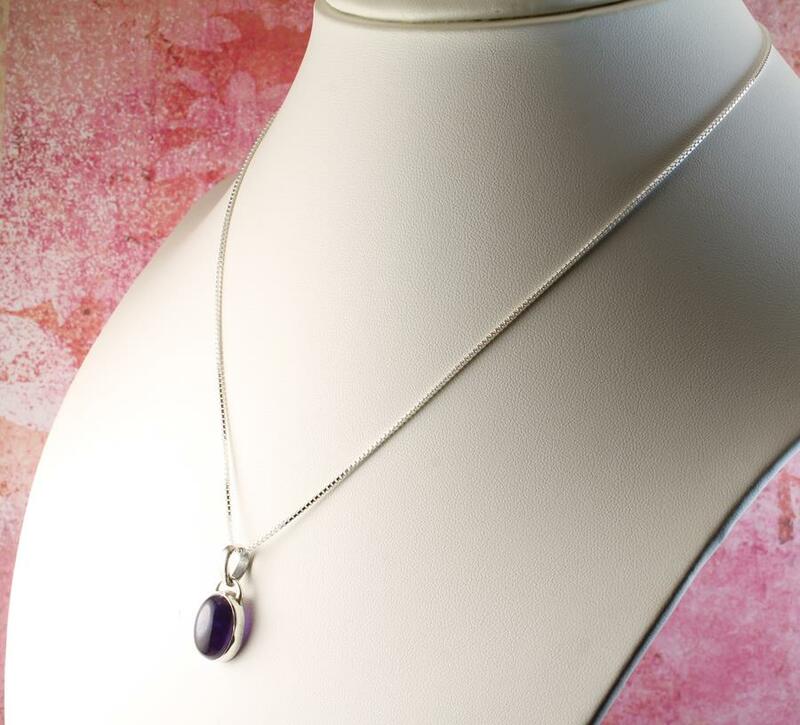 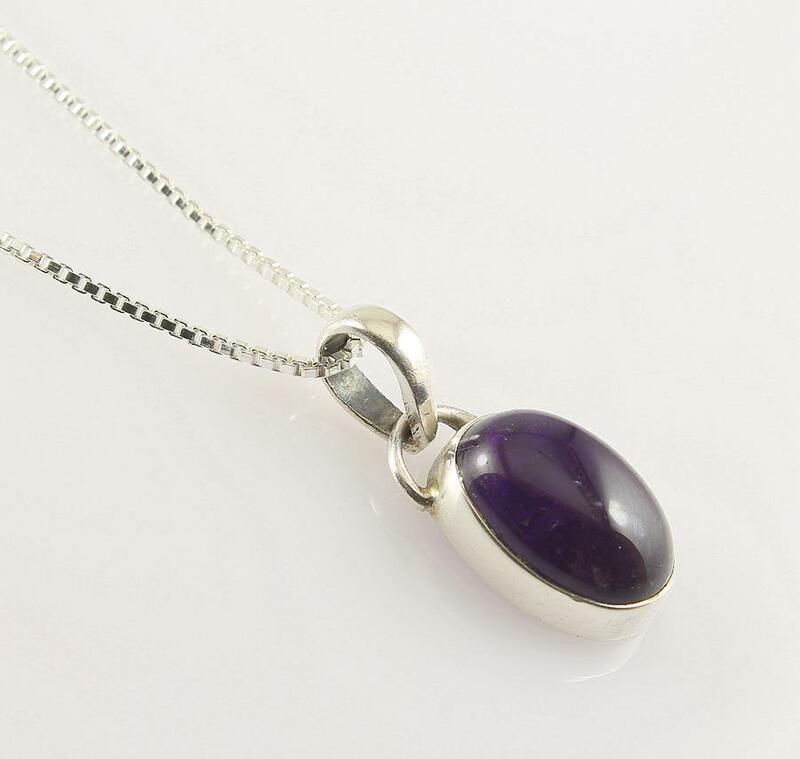 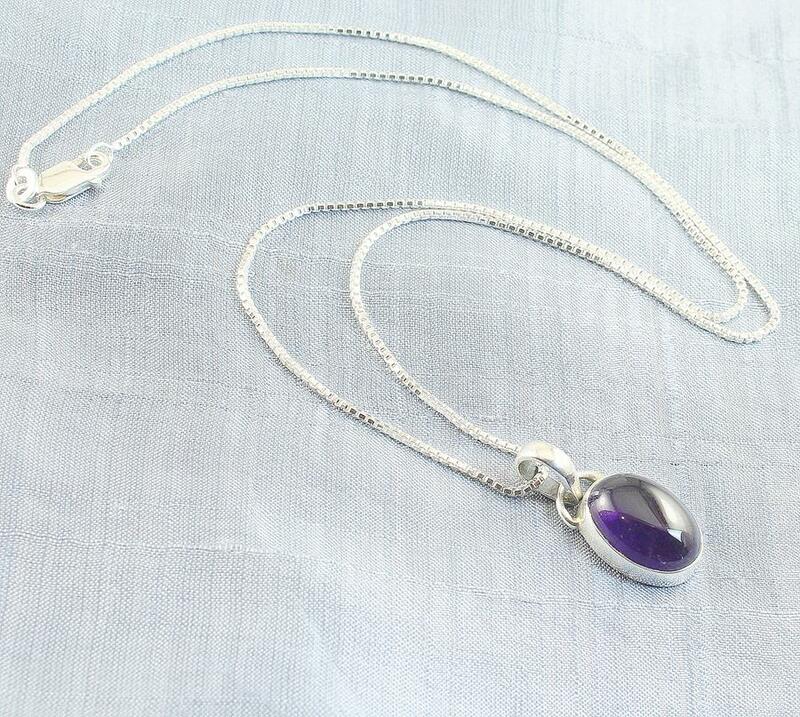 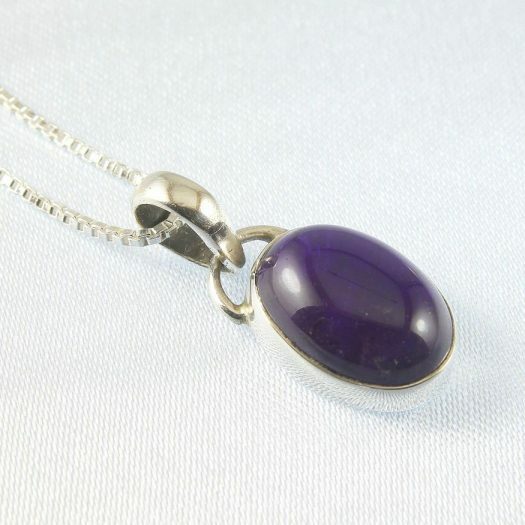 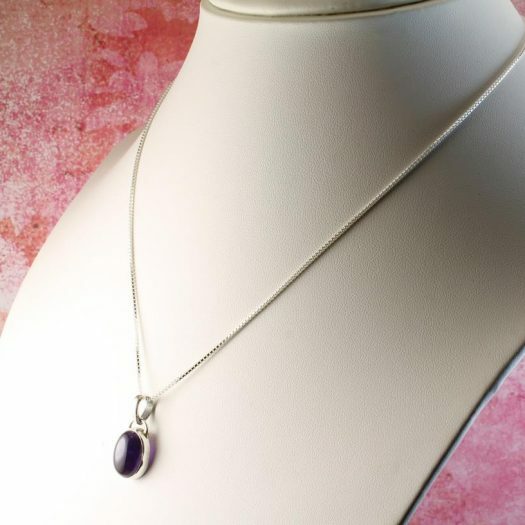 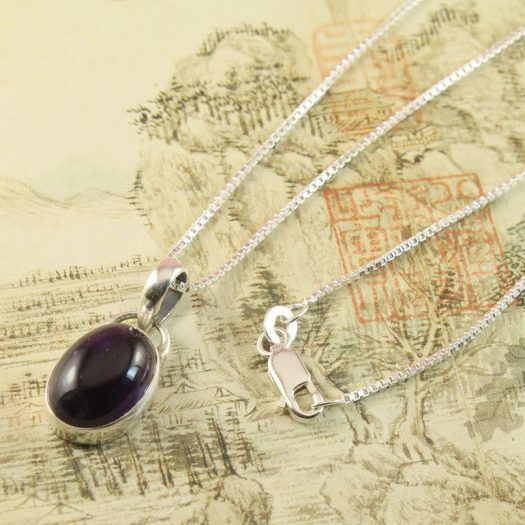 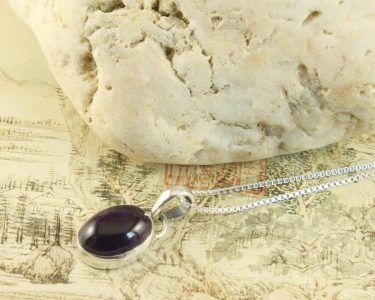 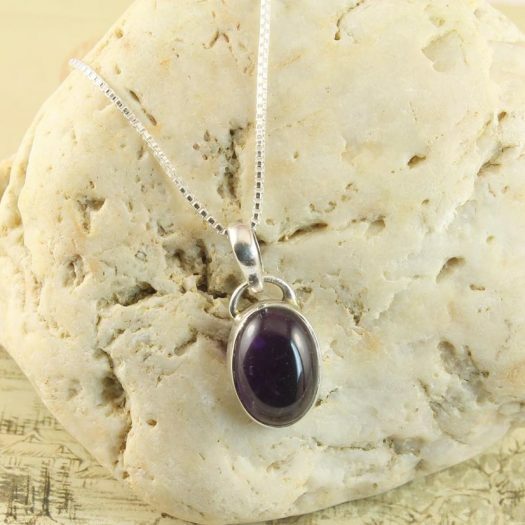 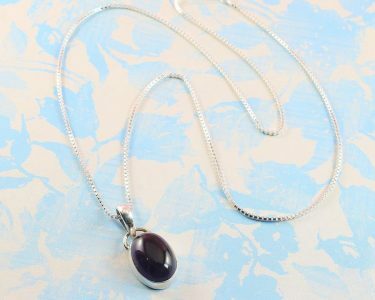 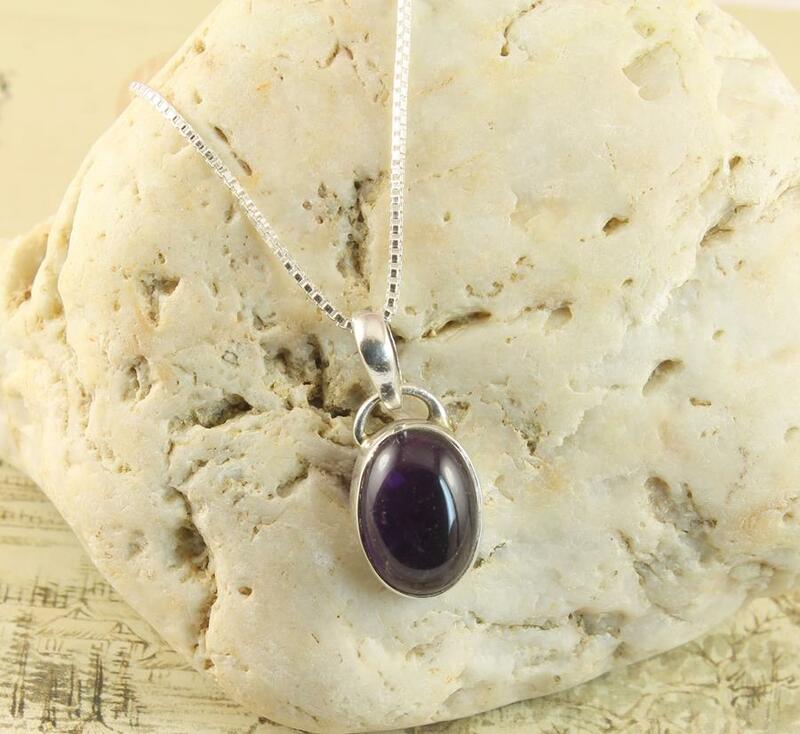 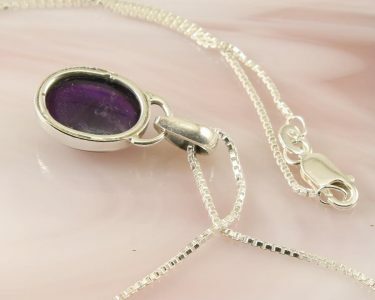 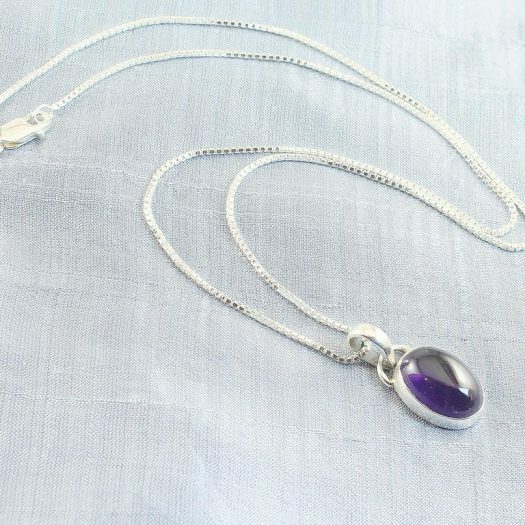 It will very pleasingly match your other Amethyst and Sterling Silver accessories, or can be added to quite different pieces for a more eclectic look.